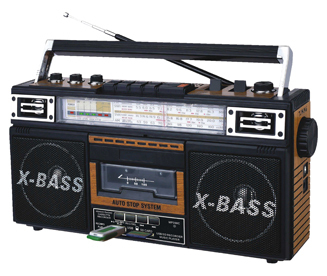 Old school meets new school with QFX’s AM/FM/shortwave/cassette player, the ReRun X. 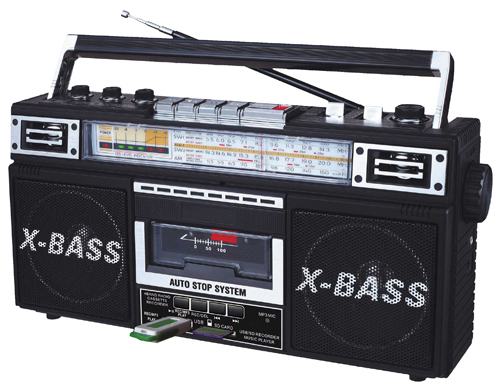 Bust out those Wu-Tang tapes from high school and a couple of D batteries for hours of stripped-down beats and bass-heavy nostalgia on the go! Tapes starting to get that persistent hiss? The ReRun converts your favorite cassette tracks to MP3 on USB or SD storage, preserving your extensive Tribe collection for generations to come. The QFX ReRun X. Don’t call it a comeback.